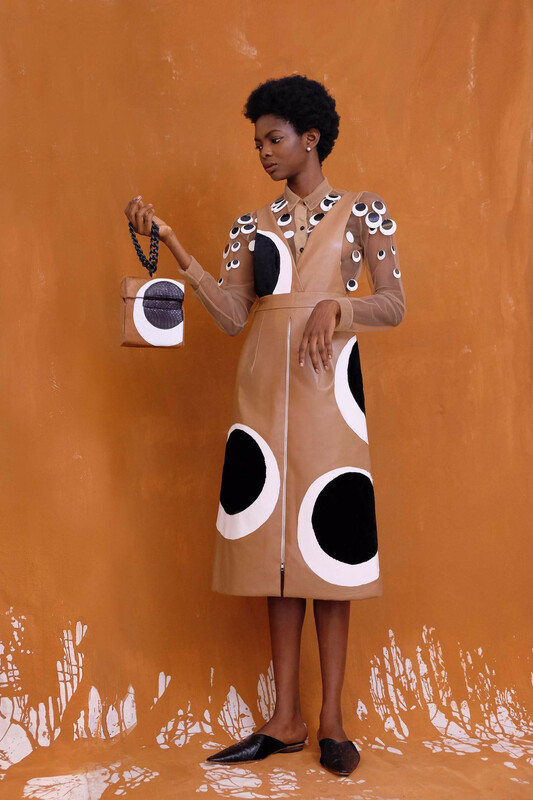 BellaNaija Style presents Collection Conversations, a weekly round up of all the collections and look books from Nigerian designers featured on BN Style from the previous week. 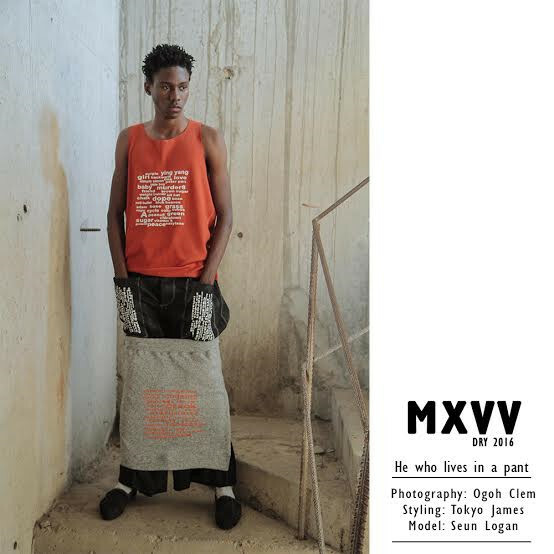 Collection Conversations features Eki Ogunbor & Richard Akuson sharing their individual thoughts on featured collections from the previous week. Richard: So dear, what do we have for this week? 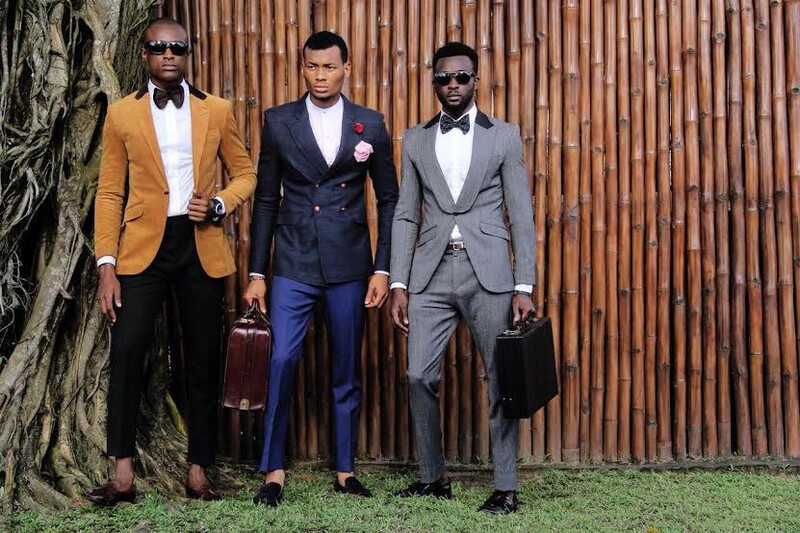 Eki: Johnson Johnson, D’Afie, Maki Oh. Richard: The second I saw the collection it screamed Uti and his friends. I’m not sure that’s a bad thing. 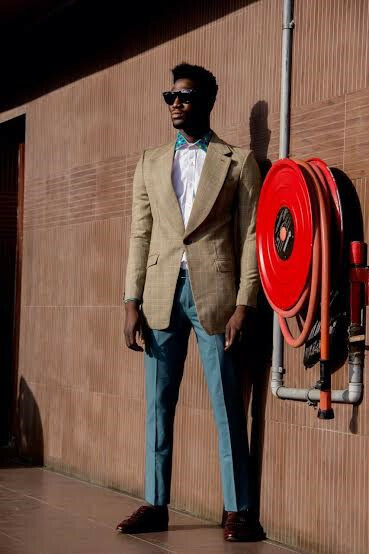 Eki: Doesn’t menswear have that effect though? Richard: Largely, But I always feel there’s always room for more, you know. Richard: So, which is your fave look? And I completely agree with you, But somehow, I just always want more. I want to see that even in the normal, you’re owning it. Richard: Lol And really I don’t always know what I want until I see it! Eki: Confusionist ! So what’s your fave? Urhmm, can I pass please? Richard: You’re a darling ? Richard: Absolutely, The finishing, the fabrication, the cuts and silhouettes. Eki: Taking classics and putting your stamp on it. I’m all for that. Every woman can wear something in this collection. And another thing that excites me for is when you can mix and match different pieces from one collection? Tho there isn’t a lot of that here cuz it’s mainly shift dresses but I can’t get enough of them I want all the dresses in my size! Girl, I’m with you on that!!!!! Oh lordy, I wish I could ?? Richard: Lord!!! You want to give me a heart attack!! Eki: Don’t even get me started on Lisa!!! Love her ? But yes it takes a certain kind of creative to bring these little details together and create a master piece. Yes they both are. You notice how she often has frills and ruffles in her collection and still manages to keep them fresh and new each time? 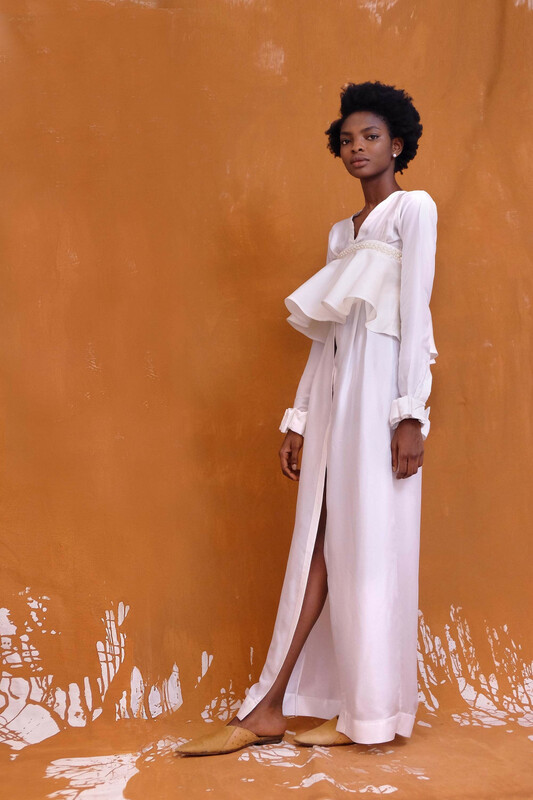 Eki: Yes some pieces aren’t everyone’s cup of tea with the tulle and mesh, but I think there is something for everyone here. Richard: True! Yes, Her clothes will absolutely do well as separates and sets. So, I hate to rush us, But which is your fave piece? Eki: But I wanted to ask you first ? It is impossible for Eki to pick a fave at this moment. Please try again later. Eki: Oh I love that! The embellishments are ?? My fave I think, because of the styling as well is the one with a combination of beige black and white, I want the bag as well. 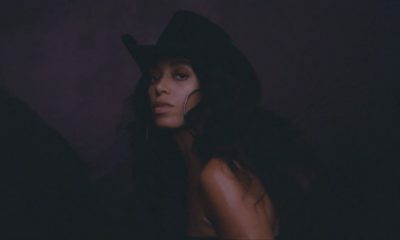 Solange would kill this look, I love her, she’s my style bestie in my mind. Richard: Hahahahha You get me so well!!?? Oh i love that too. That’s def for the fashion peacock and Solange’ll definitely kill it, Lol You WISH! Eki: ? Yes!!!!! And these two I’d want to own. Richard: I love this for the femininity, Very core. I am in love. Eki: Similar to our first week, these collections were great. I can’t wait to see which one of these pieces features in our BN Collection to Closet cuz they’re all so good. #BuyAfrican! Richard: Absolutely. I really look forward to that, And I am really excited. Hopefully next week is as interesting as this! Liz Awoliyi is Uber-Stylish in Zazaii’s #InfluencerSeries for March 2016! I’m just confused. Some things I can wear, but with a plain white shirt or a plain top because that one particular article is doing all the talking. To me, most of her works look like a collage which could work as artpieces or costumes in a film, but not for everyday wear. 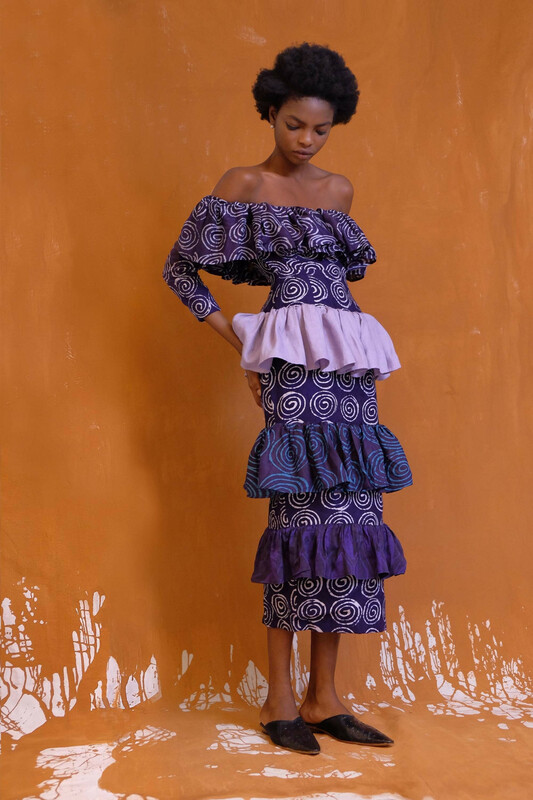 My best one here is the purple adire skirt, if it has pockets, paired with a plain white short-sleeved v-neck. There is no way I would step out with boot cut pants under a midi dress. However these looks are great as individual pieces but not all together. 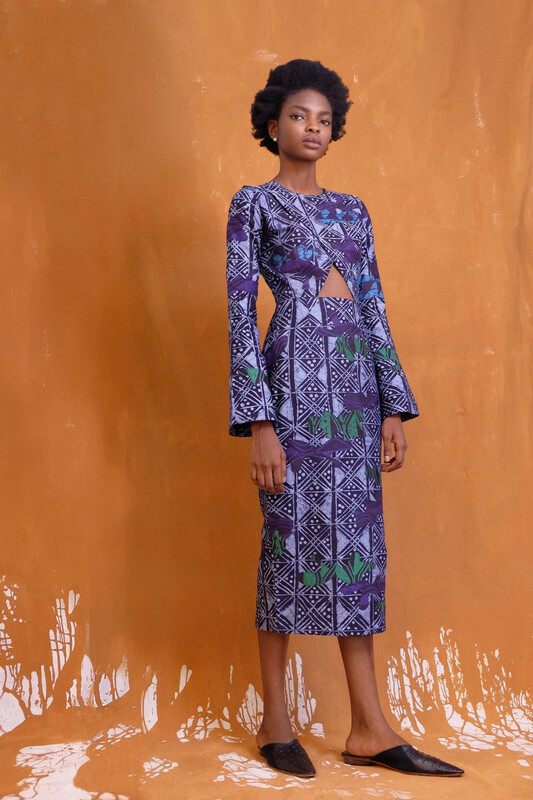 Adire fabric, great but my best looks where in the solid colors and the one Eki is sure Solange will rock. 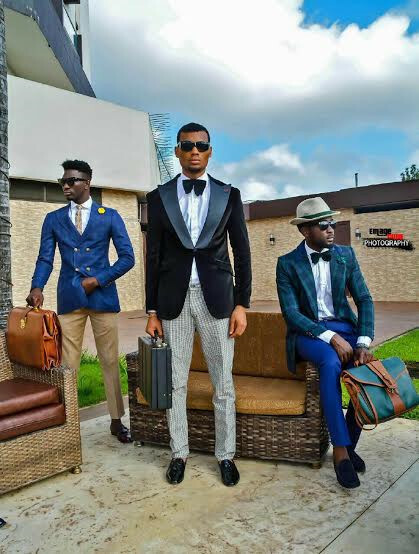 Again that’s how men ought to dress, stop putting men in gowns and skirts and saying it’s creative. All that said, Tesslo Concepts didn’t make it to your convos, i take it as you were in a rush to shower Maki Oh with good words. 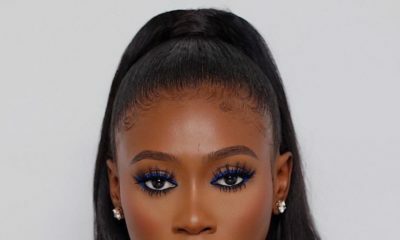 i loooovvvee the dark-skinned model’s hair……. Maki Oh still has my heart. Her designs are simple yet not at all simple. Embellished minimalism may be is a way to describe it- if that’s even a thing. I’m so in love with her style I’m talking gibberish. 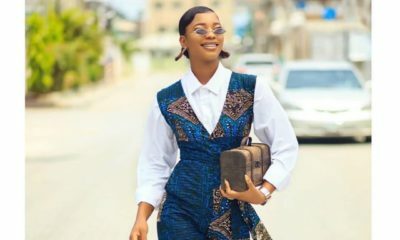 Her designs are on my list of must haves- investment pieces for the wardrobe. One day her designs will be hanging in a museum somewhere (hopefully somewhere in Africa) as one of the first that put Africacentric fashion on the global stage. I want to be able to tell my grand or great- grand kids that I was one of those that owned/wore her designs. Lovely. Thank you Eki and Richard for these reviews. The outfit in the third picture has me cracking up…… hahahahaha. Who is going to wear that? Is that a skirt on top of jeans. Mehn!! I have seen things in this life. ?